Jamie Rogers Southern remembers when Bookmarks’ independent bookstore was a mere “pie-in-the-sky idea” that surfaced during a strategic planning session. Bookmarks, an independent, nonprofit bookstore and gathering space, opened its doors in the renovated Nash building on Fourth Street in July, 2017. And it’s exactly what Jamie, the nonprofit’s operations director, and Executive Director Ginger Hendricks had imagined it would be. “We went from reaching 20,000 people a year to reaching 55,000,” Ginger says. “It just shows how much the community really wanted to have an independent bookstore and all that it stands for.” Jamie concurs. 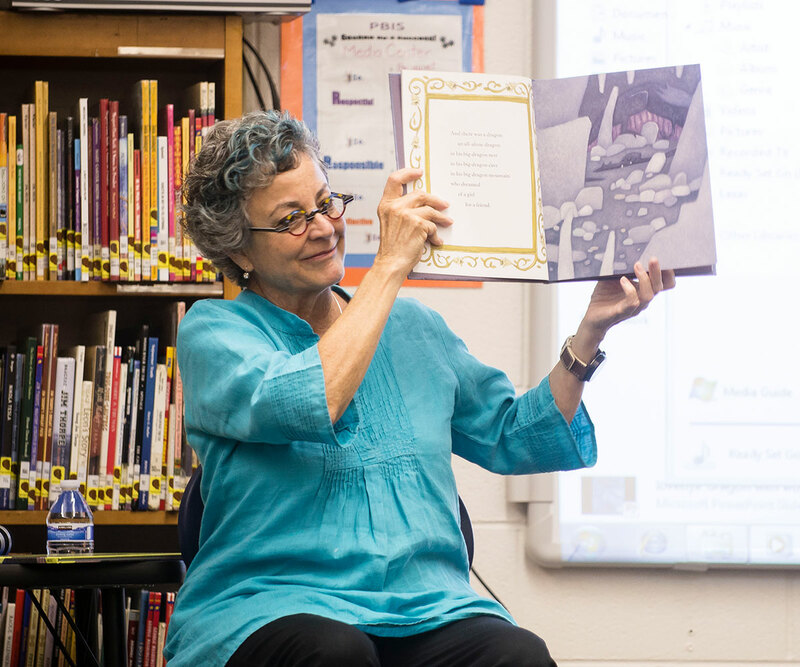 A nonprofit literary arts organization at its roots, Bookmarks began as a project of the Junior League of Winston-Salem in 2000 and became an independent nonprofit in 2006. 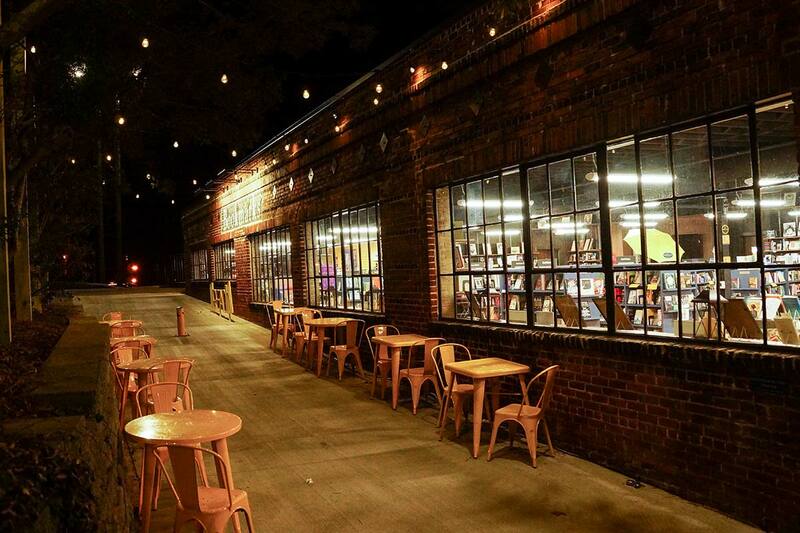 It is best known for the annual book festival and the high-profile authors it brings to Winston-Salem. The festival takes place at multiple downtown venues the weekend after Labor Day. In 2018, the event featured 48 authors in readings, workshops and panels, and attracted 23,000 attendees from 17 states. Festival authors visited with 8,000 students from 25 schools, and Bookmarks donated 3,200 books to school libraries and students. Dav Pilkey, John Grisham, Diana Gabaldon, and James Patterson have all been past keynote speakers at the festival. Throughout the year, Bookmarks also hosts discussions and events. Hundreds of authors have participated including Kwame Alexander, Jason Reynolds, Pat Conroy, Sarah J. Maas, RL Stine, and Jacqueline Woodson. Their Authors in Schools program, which connects students with writers to promote reading, writing, and storytelling, is more robust than ever. The 4,600-square-foot bookstore, manned by two full-time and 12 part-time staff and an army of volunteers, provides a steady source of revenue which helps maintain the financial stability of the organization. It also has enabled Bookmarks to quadruple the number of events it hosts, featuring big-name writers like David Sedaris, Grace Lin, and Patti Callahan in 2018. Bookmarks will continue to evolve as part of a vision to give the literary arts a bigger stage in the City of Arts and Innovation, Ginger says. The Foundation has supported Bookmarks with eight Community Grants since 2008, including support for the expansion of its executive director and operations director positions from 2013 through 2015 and support for a community outreach and facilities manager in 2017 and 2018.